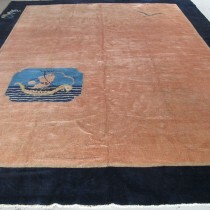 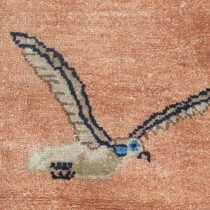 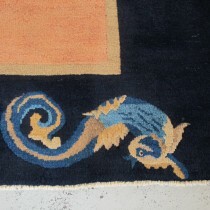 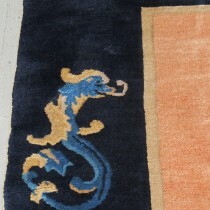 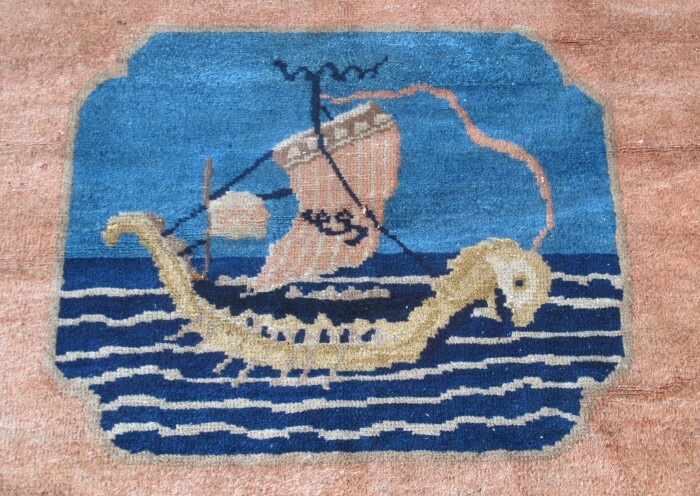 A seafarer's carpet! 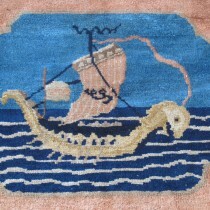 Minimal design with a chinese 'Junk' boat, a seagull, and sea dragons in the border. A charming and unique carpet!